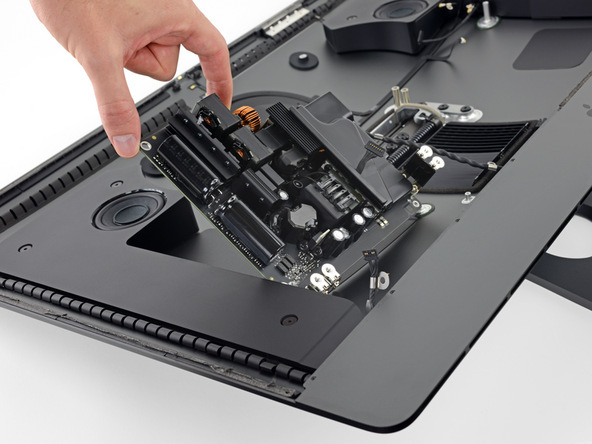 Monoblock Apple iMac Pro for maintainability earned only three points. 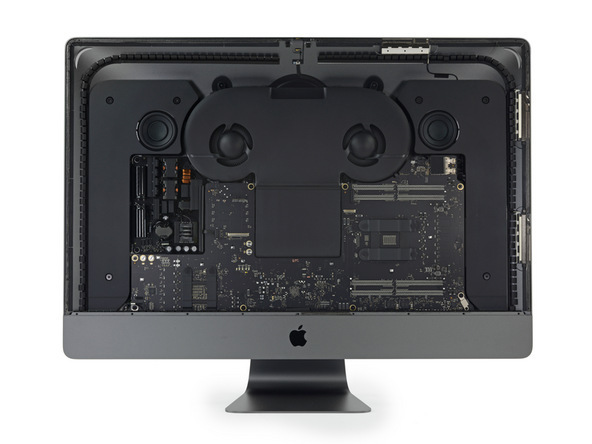 For starters, iMac Pro is the only Apple candy bar available in the color Space Gray. Moreover, the mouse and keyboard supplied are also made in this color and you can buy such accessories only with the top monoblock. 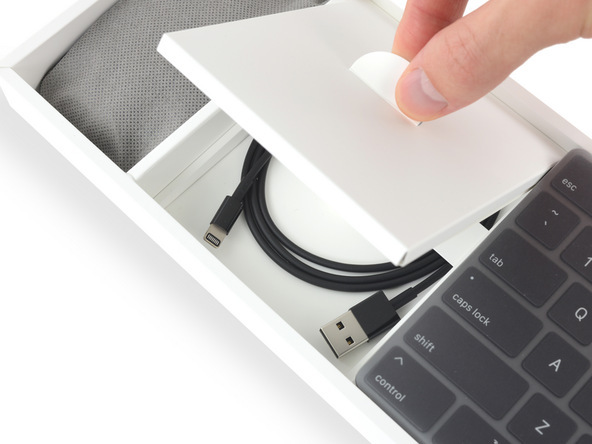 But with all this, Apple, which many associate with the design, put a black Lightning cable in the kit! That is, the company was too lazy to simply order cables of a different color. So, the dismantling of the monoblock begins with the dismantling of the display. After that, the gaze is opened to the inside, half filled with cooling system covers and speakers. 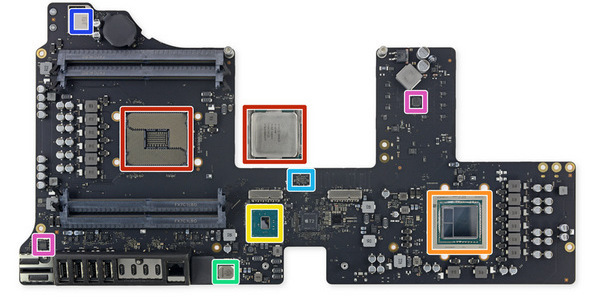 Given the performance of the PC, the PCB is compact enough. 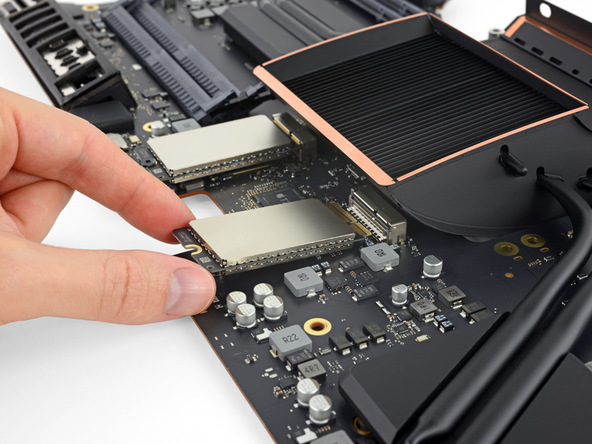 Disassembly showed that the RAM modules are quite ordinary - DDR4 ECC with 288 contacts. 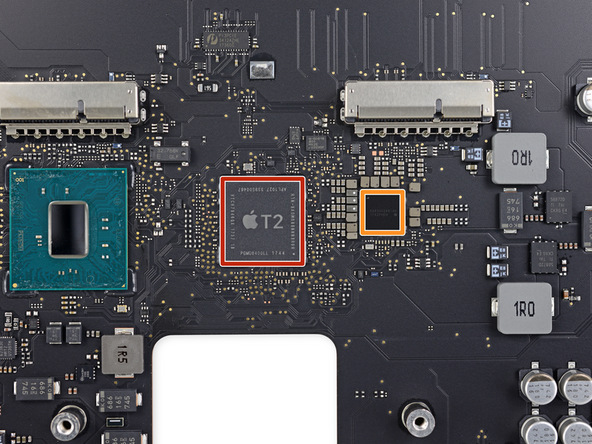 As we already know, in iMac Pro you can also replace solid-state drives. 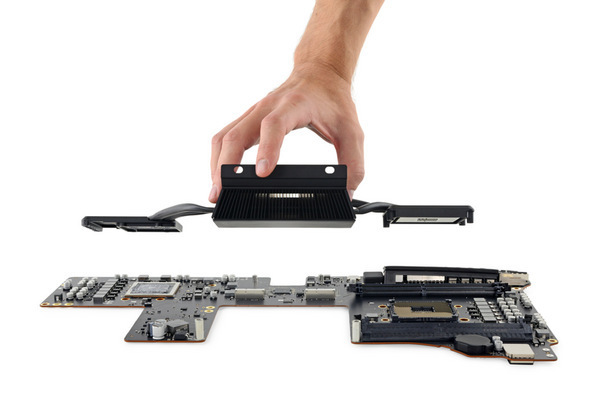 SSDs are labeled Apple EMC 3197 and are based on SanDisk chips. Turning to the cooling system, it is worth noting its very modest dimensions. And this, we recall, with a Vega video card, which does not have a modest appetite. The processor, by the way, can also be replaced if desired. However, not the fact that after the replacement of the PC will work. The motherboard features a Vega GPU with 8 GB of HBM2 memory, an Intel X723D733 E1 05780 chip, an AQC107-B1-C AQUANTIA controller, a Genesys Logic GL3227A SD 4.0 controller, a Cirrus Logic CS42L63 DAC, two Intel JHL6540 Thunderbolt 3 controllers and other components. Also on the board is the microprocessor Apple T2, which is responsible for certain security systems. 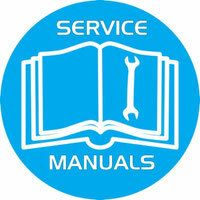 In addition, there is a certain chip Apple 338S00268. 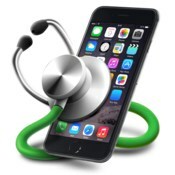 One might assume that this is the SoC Apple A10 Fusion, as claimed by early rumors, but the chip is smaller in size. The monoblock power supply has a power of 500 watts, which seems insufficient, given the power consumption of the processor and video card. 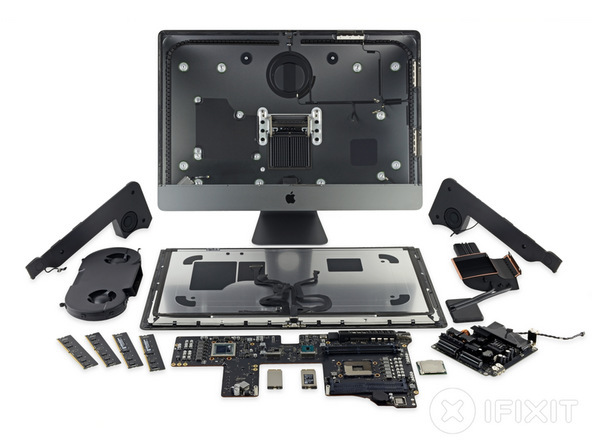 As a result, iMac Pro earned for maintainability only three points out of ten. In the pluses of the device only the ability to replace RAM, processor and SSD. 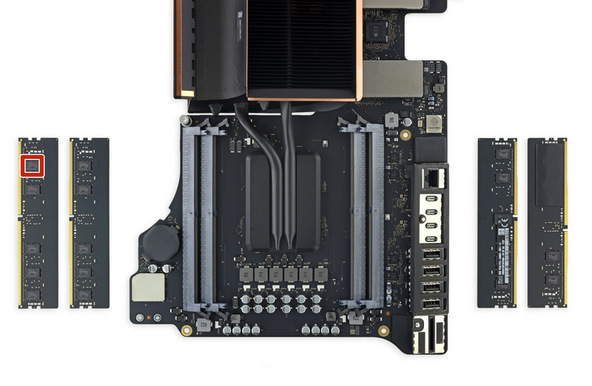 Among the shortcomings and features are the custom-made SSDs, the need for disassembling to replace the special tape that mounts the display to the chassis, the need to remove the PCB for access to replaceable components, the lack of a hatch for self-replacement of RAM, and the impossibility of replacing a 3D card.